A majority of Republicans view the news media as the “enemy of the people,” according to a new poll by Quinnipiac University. 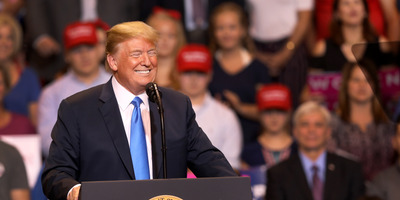 WASHINGTON – A majority of Republicans view the news media as the “enemy of the people,” according to a Quinnipiac University poll released Tuesday. Republicans were the only group polled to have a majority view the news media is the enemy of the people. Among all Americans, 65% said the media is an important part of democracy while only 26% characterised the press as the enemy of the people. President Donald Trump regularly chastises the press as the “enemy of the people,” shouting during rallies and in his early morning Twitter tirades. While Trump has on multiple occassions called the news media enemies of the people in the broadest of terms, he once attempted to clarify after his daughter and adviser Ivanka Trump said journalists are not the enemy of the people. Trump followed the brief clarification three days later by continuing his “enemy of the people” jab, writing on Twitter that reporters create wars and sow distrust in the country.